Get those jars of spices and seasoning out of a dark cupboard and onto this handsome oak spice holder. Two lower shelves are designed to accommodate full-size shakers, while the top shelf stores taller containers and bottles. Chamfered back slats and lap-jointed front rails lend a fine woodworking air to this deceptively simple piece. © Crosscut the iour back slats to length: Arrange the slats together on edge to form a panel with pleasing grain pattern. 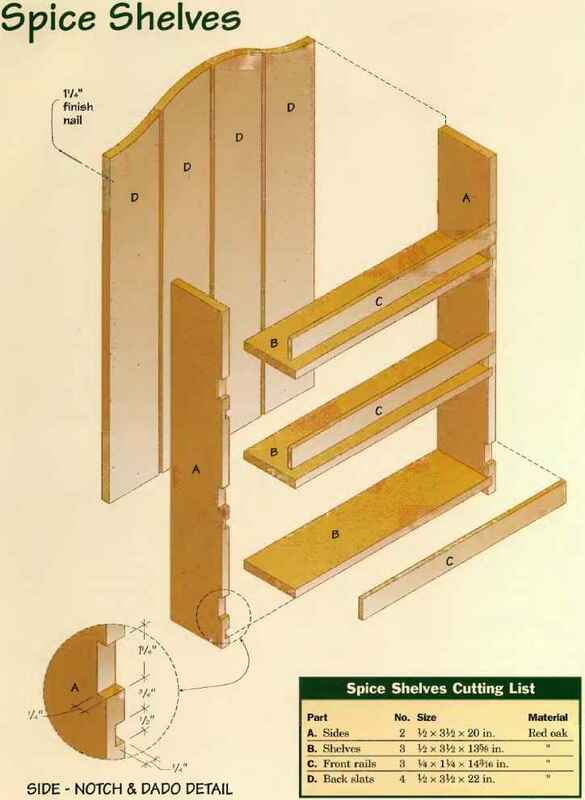 Label the order of the slats in the panel. 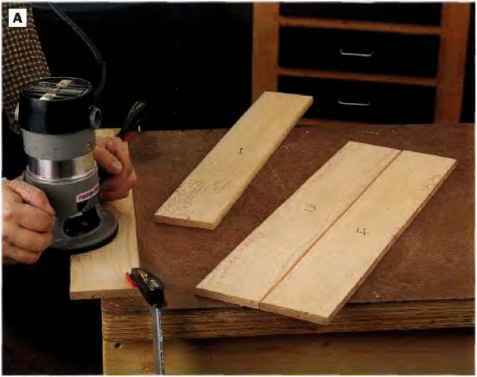 © Mill the back slat chamfers with a router and a piloted chamfering bit: Set the bit to a depth of Vs in. Rout only the "show-side" edges of the slats that will touch each other once the back panel is glued up. The two outermost edges are not chamfered (See Photo A). 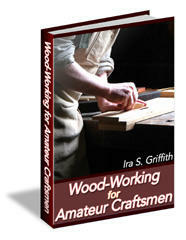 0 Glut; up the back panel: Spread wood glue along the mating edges of the chamfered back slats and clamp them together. 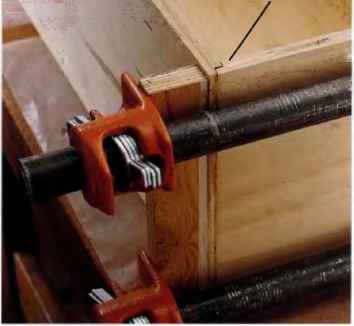 PHOTO A: Rout chamfers along the mating edges of the bach slats with a piloted chamfering bit set to a cutting depth of ^a in. tt's a good idea to label the slats first so you profile only the edges that will meet once the panel is glued up.